It’s been a while dear readers. In fact it’s been more than two months since I’ve last posted. I can use the excuse that I was preparing for my trip to Italy or busy with my catering, but the fact is I was looking for inspiration. I think I found it! I had not been back to Italy in seventeen years and I wonder how I was able to stay away for so long. We’ve had two children since our last trip so I suppose we’ve been busy! But my husband and I finally decided it was time to take our children to Italy. I felt it was important for them to see where their grandparents came from, to have some connection with their roots. And then there’s the food, Oh the food! In fact, it’s pretty hard to find a bad meal in Italy. Even eating at the rest areas on the highways is incredible! I had the opportunity to sample the regional specialties of Rome (Lazio region), Puglia, Campania and Sicily. Rather than point out each pizza and pasta dish we enjoyed throughout our trip, I’d like to share with you some of the dishes that stood out for me. Several dishes “wowed” me not necessarily because they were particularly fancy or complicated but rather due to their no-fuss simplicity and amazing flavor. That is really what Italian cooking is all about, cooking with few ingredients but making sure they are the best quality ingredients you can get. 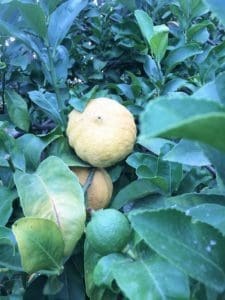 Eating my way throughout Southern Italy, it was quite obvious that the emphasis is on fresh, local ingredients. 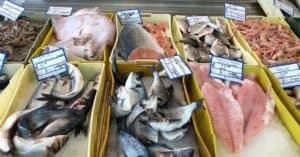 Italians do not refrigerate their fruit and prefer buying their meat and fish as they consume it, never buying in bulk and stocking their freezers as we North Americans are prone to do. We began our journey in Rome, the eternal city. On our first morning there, I sought out the Campo dei Fiori. 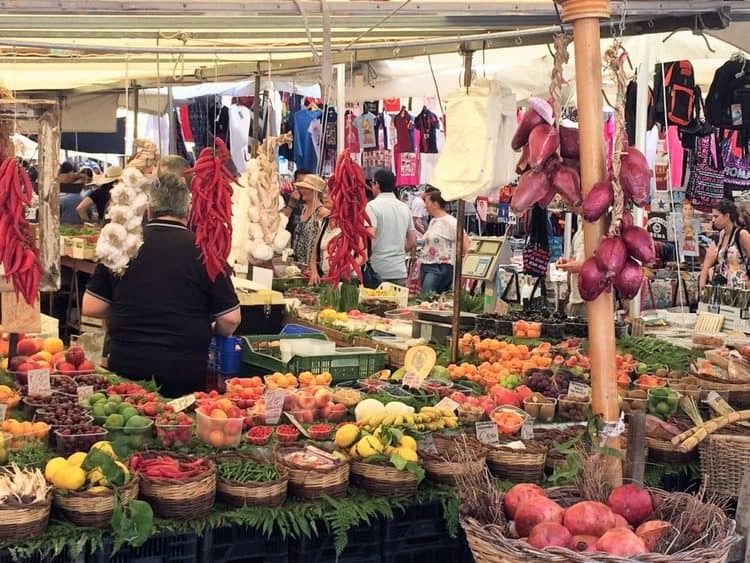 A market located in the centre of the city which sells fresh produce, cheese, pasta, kitchen supplies and of course, souvenir t-shirts. The perfect location, in my opinion, to begin a visit in Rome! Don’t tell my mother, but I dreaded each time she made that stewed cicoria that I found so awfully bitter. 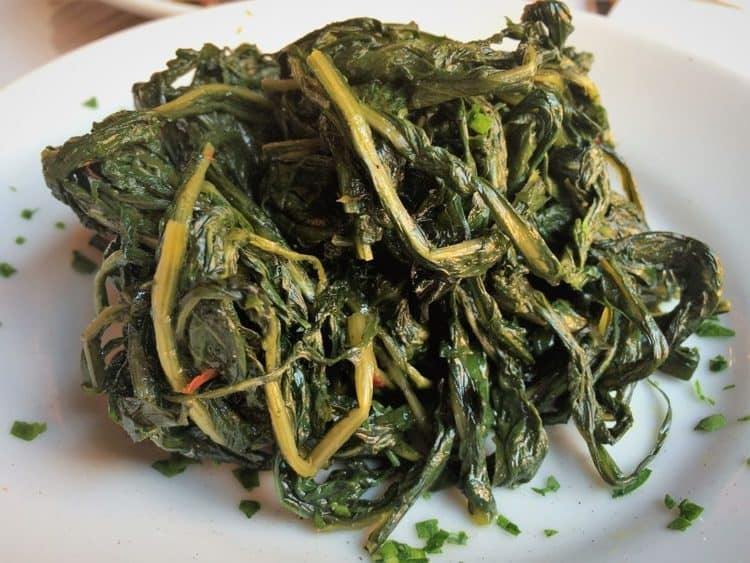 This cicoria on the other hand is sautéed in olive oil, garlic and pepperoncino until it is almost crispy and this became my contorno (side dish) of choice wherever I ate in Rome. Surprisingly enough, my children enjoyed it as well! Definitely a dish to recreate at home. 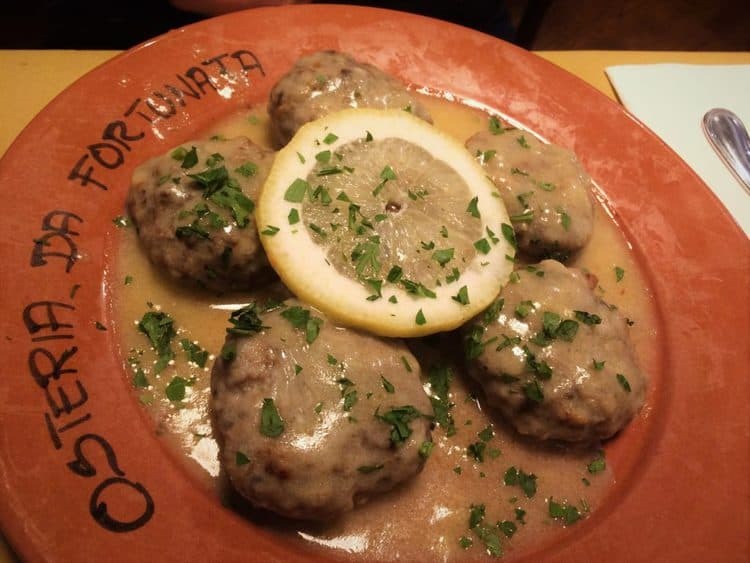 Another delicious surprise was these meatballs in a lemon sauce. An unexpected combination that worked quite well! We then made our way to the Puglia region where we visited my husband’s relatives. 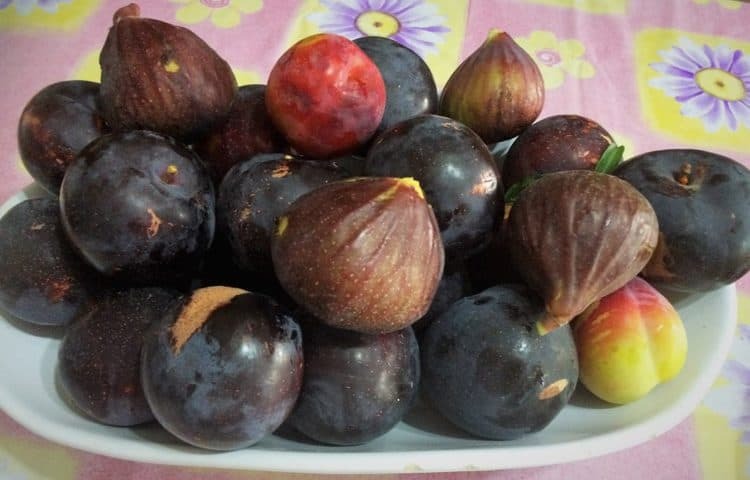 Here I had my first taste of fioroni which are the first figs of the summer and tend to be larger and juicier. I was just thrilled to get a taste of any fresh figs! At that moment the fioroni were just ending, plums were plentiful, and soon cherries would be in season. Basically, they ate each fruit and vegetable as it came into season and then moved onto the next produce available. Doesn’t that make perfect sense? 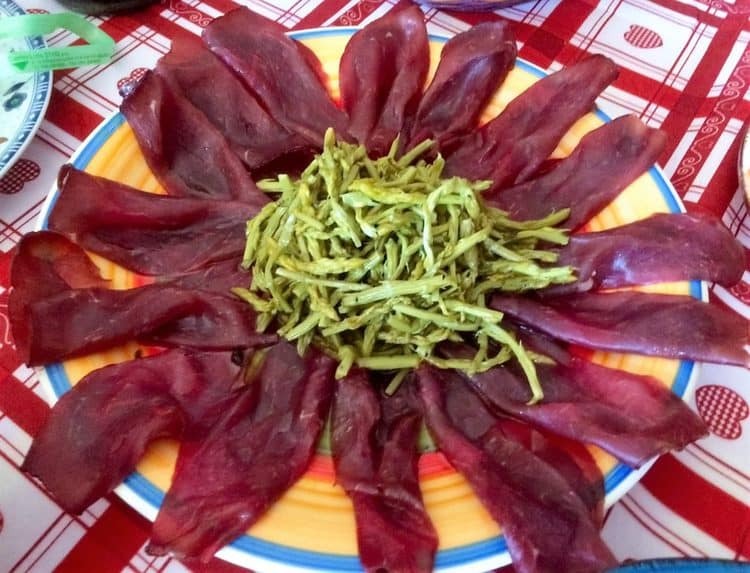 Other vegetables, such as wild asparagus, shown below surrounded by bresaola, are preserved by pickling them. Zucchini was particularly abundant that week and I ate several different zucchini dishes, not once feeling that the meals were repetitive. A meal that we enjoyed at a local agriturismo in Puglia was centered around zucchini. 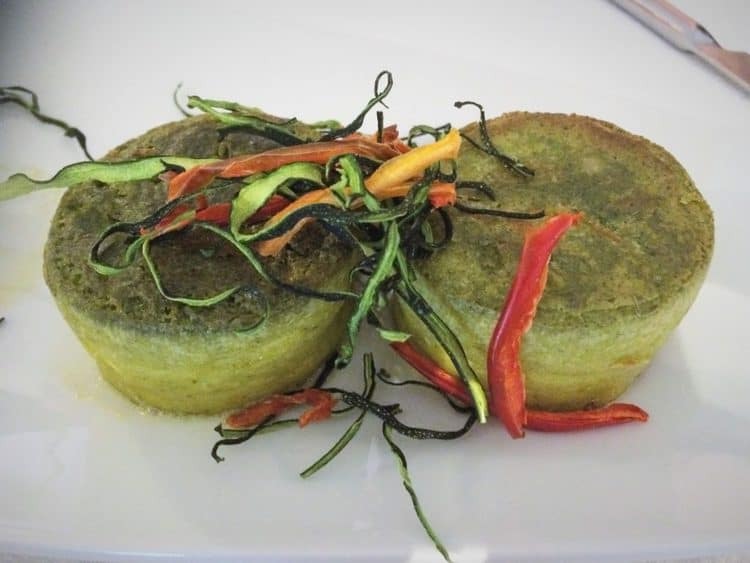 We particularly enjoyed this zucchini flan which contained crumbled sausage inside and garnished with crispy fried zucchini. Another dish on my to do list! 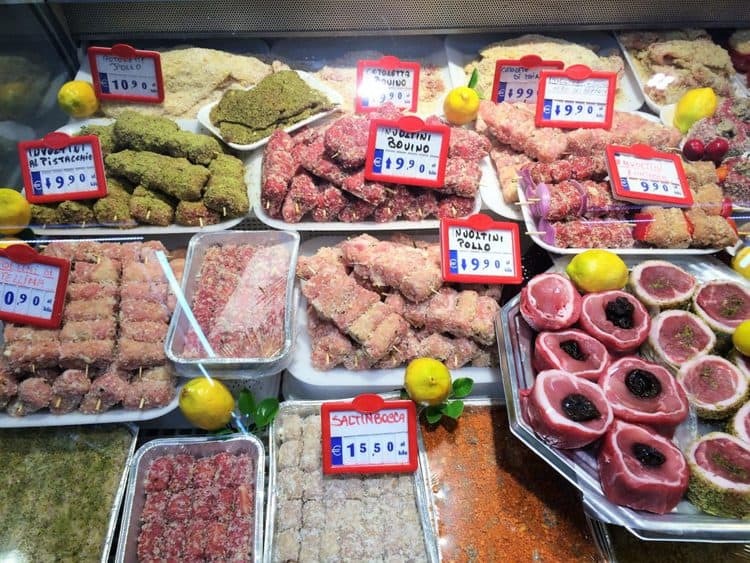 The Pugliese also enjoy their fish and seafood and a visit to a local fish market was quite a treat. I sampled raw oysters and clams that tasted of nothing else but the sea. This trip was followed by an incredible lunch prepared by another of my husband’s relatives. 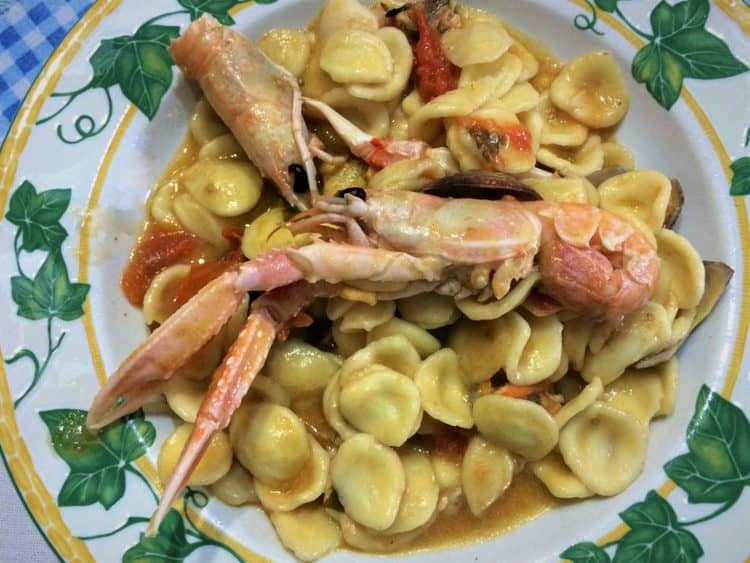 Truly the best orecchiette and seafood I’ve ever had! 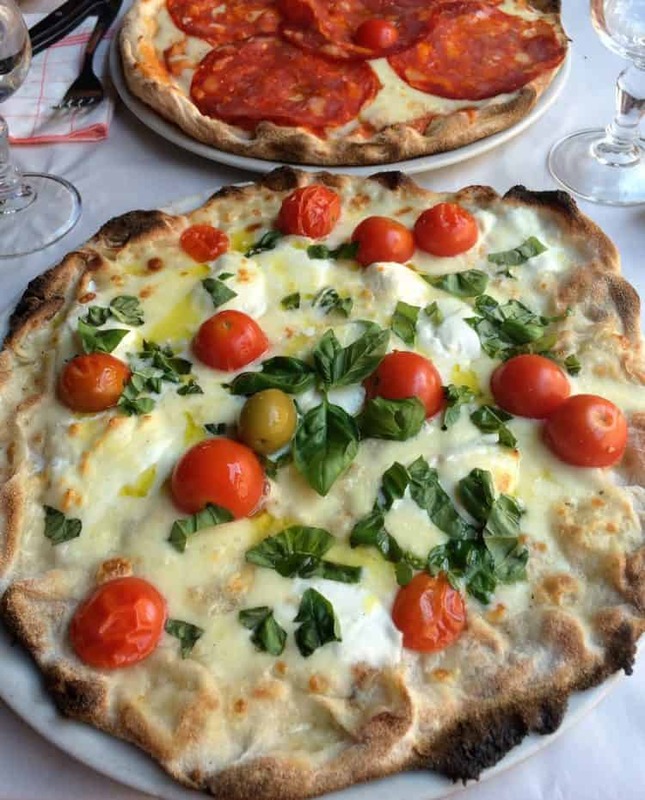 In Italy, the main meal of the day is eaten at lunch time. By 1:00pm everything shuts down as everyone heads home to enjoy lunch with their families. During the summer when it is incredibly hot in Southern Italy, this is followed by a nap and you can’t help but fall into this routine once you’re there. Businesses then open up once again between 4:00-5:00 when it becomes bearable again to head outdoors. Which then brings me to dinner. Usually a “lighter” meal eaten around 9:00pm, something we had to get used to. 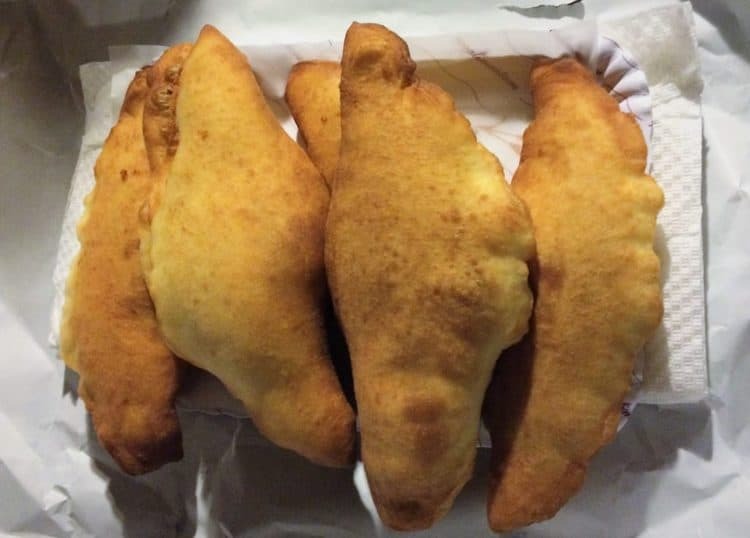 One evening this consisted of these fried panzerotti which are popular in Puglia. Panzerotti are fried pizza dough stuffed with tomato sauce and mozzarella. Definitely one of the highlights for my children! But it was not only about eating for me. Our young cousins had never tasted pancakes before and wanted to learn to make them. Luckily I had brought some containers of maple syrup and I proceeded to make breakfast for all one morning. All of the ingredients were available except for the baking powder. After some efforts to find a translation online, it seems like the closest substitute is the “lievito pane degli angeli”, a vanilla flavored leavening agent used to make cakes. 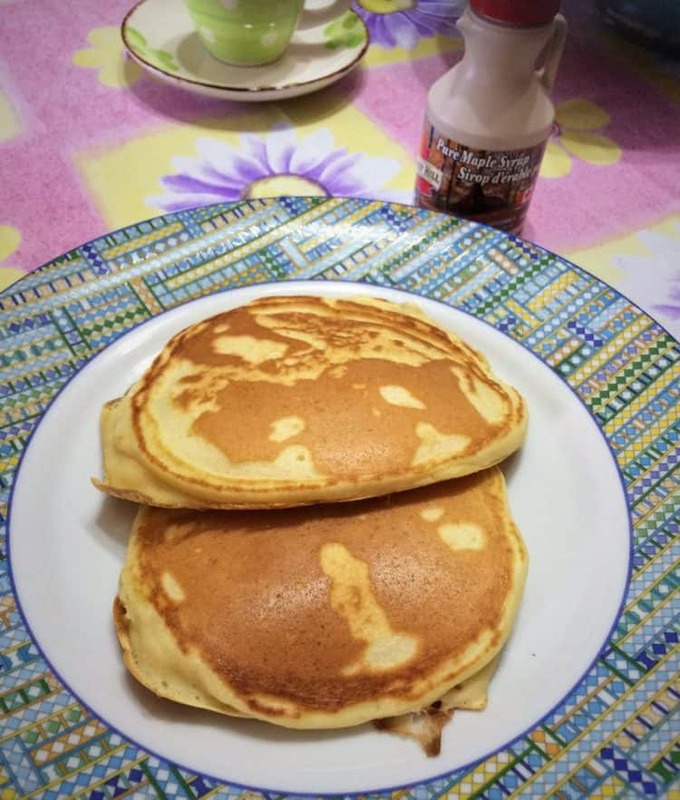 It turns out that it was the right substitute and my yogourt pancakes turned out as fluffy as usual. Always happy to share my recipes with others! We then made our way across the centre of Italy to Salerno, in the Campania region. This was the perfect location from which to visit the Amalfi Coast, Pompei and most importantly, I met one of my uncles for the first time. A very special and memorable moment for me. 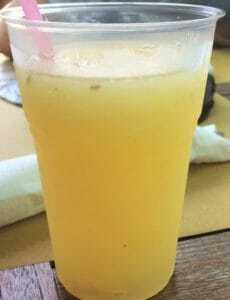 When I think of the Amalfi Coast I immediately think of lemons. 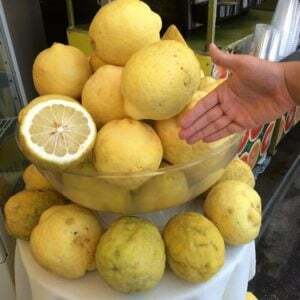 Not just any lemons but these huge, sweet lemons used to make local specialties such as granita, limoncello, delizia al limone or quite simply a fresh spremuta di limone(lemonade). 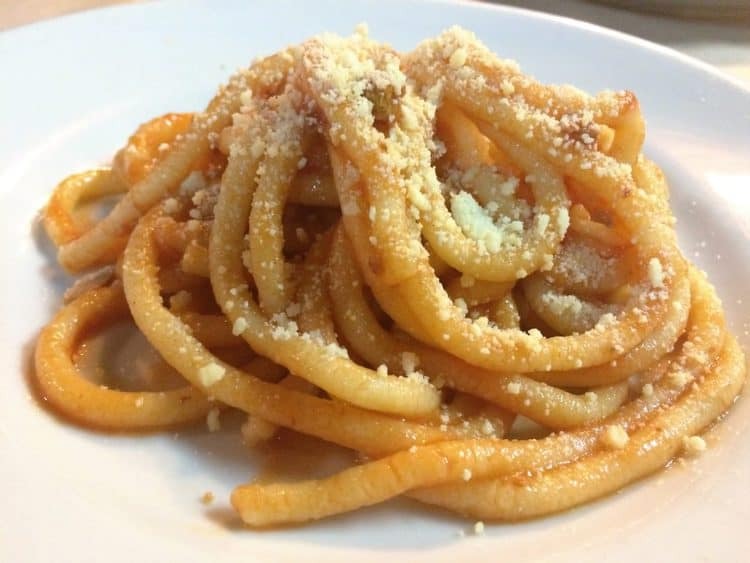 Scialatielli is a local pasta consisting of a chunky noodle made with semolina flour, OO flour, milk, eggs, as well as finely chopped basil which is incorporated into the dough. 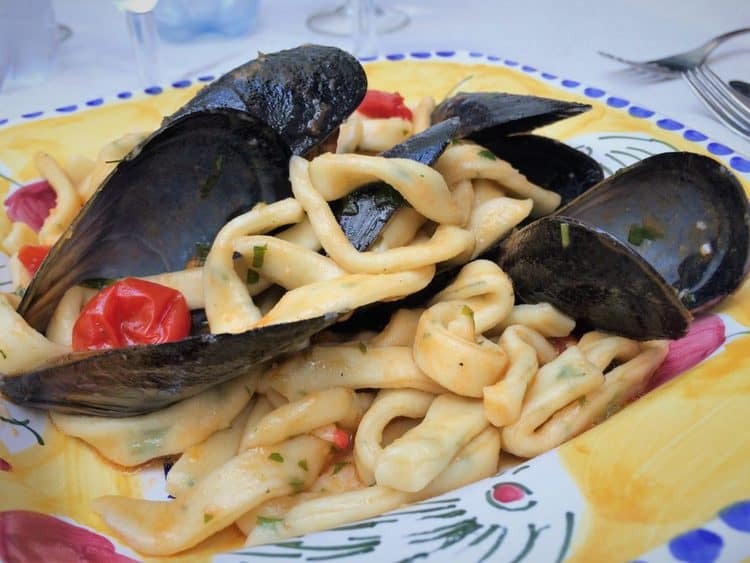 In this region, scialatielli is commonly served with seafood and this version with mussels is what I thoroughly enjoyed in the town of Amalfi. 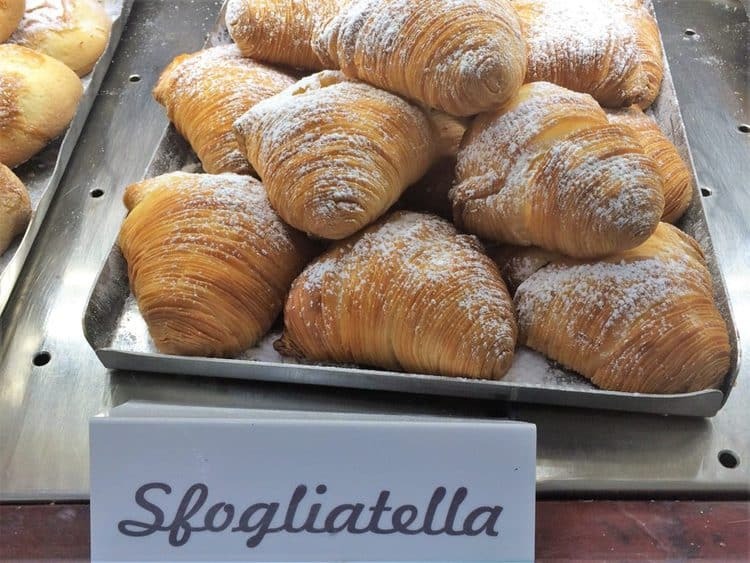 And of course, let’s not forget the sfogliatella for dessert that we found in a bakery recommended by my cousin in the town of Pompei. A must in the Campania region! Moving along to our final destination in Italy, Sicily! A very special place for me, as that’s where my parents are from. What I have been craving the most in the twenty-three years since I last visited Sicily are the brioche and granita which is what the locals have for breakfast, as a snack, or at night after a stroll in town! Basically, it’s always a good time for brioche! 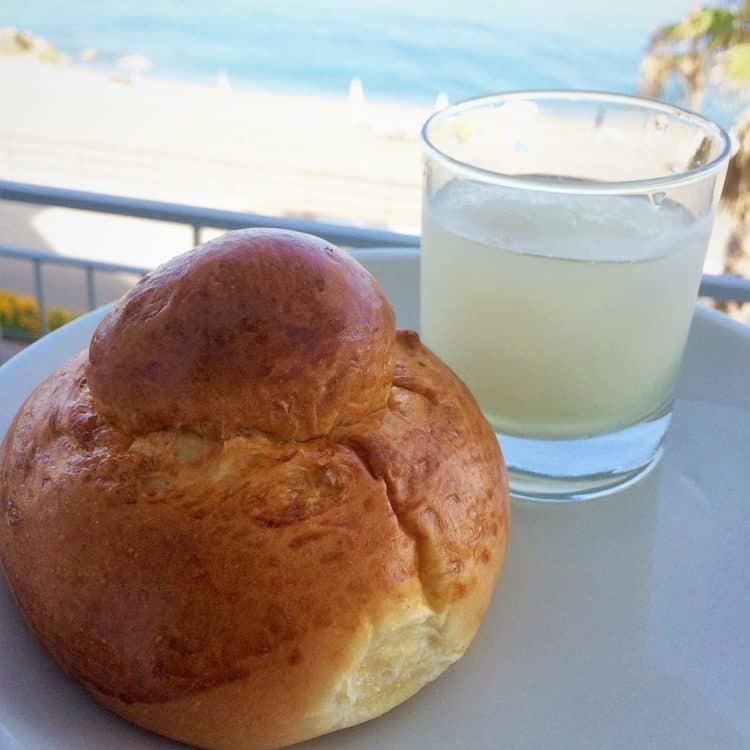 There is nothing like that fluffy, lightly sweetened brioche with the “tuppo” on top which is the first bite you eat. 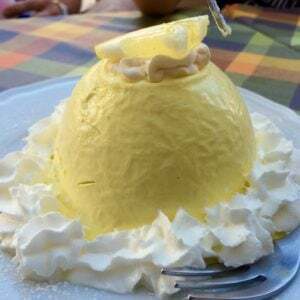 It is commonly eaten with granita or split open and stuffed with nocciola (hazelnut) ice cream. If I could have, I would have taken several home with me but unfortunately brioche are only fresh when eaten that same day. So each morning my husband would awake and walk down to one of the many bars or bakeries in the area to pick up our daily brioche. I could get used to that! Since we rented an apartment for the week and had access to a full kitchen, we had the opportunity to do some cooking and soon settled into a daily routine. Aside from the local bakeries, my husband sought out the closest grocery store and made friends with the fruit vendor. 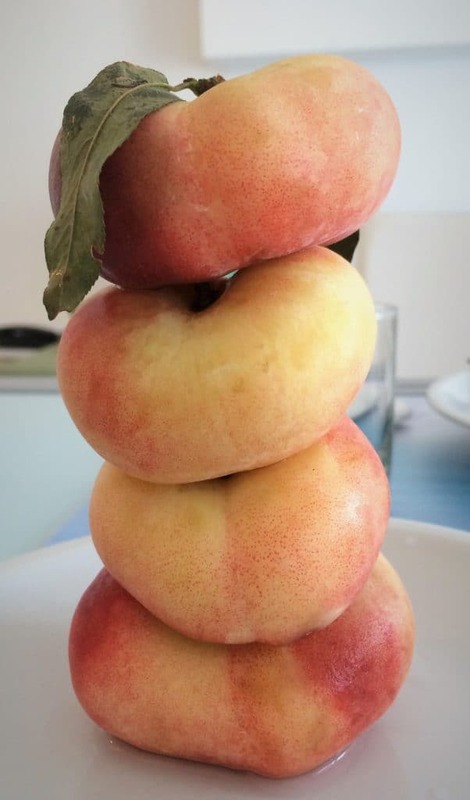 We discovered the tastiest peaches we had ever tasted called tabacchiera and proceeded to eat as many as we could before we left Sicily! I thoroughly enjoyed checking out the local specialties at the meat counter while taking note of things to try later at home. How could you not want to try it all? I indulged in one feast after another, simply trying to take it all in and enjoying it, knowing that in a few days I would be leaving and did not know when I’d be back again. 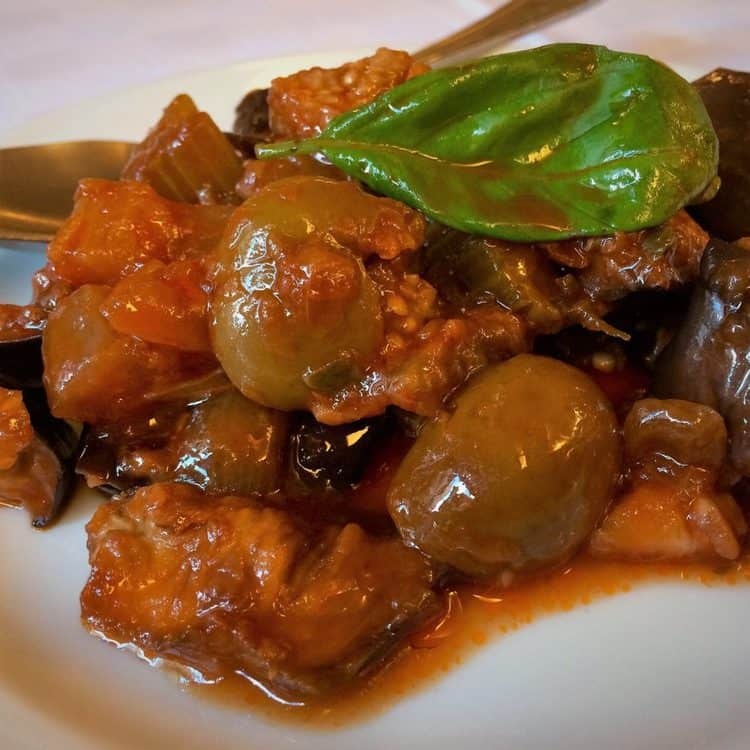 I savoured the locally cured olives, cheese and eggplant caponata served in the antipasto course. Then the homemade maccarruna which are a specialty in my parent’s hometown. They are particularly amazing with slices of fried eggplant wrapped around little bundles of these maccarruna. How I wish I had a photo of those to show you, but I devoured them before I could get a chance to photograph them! 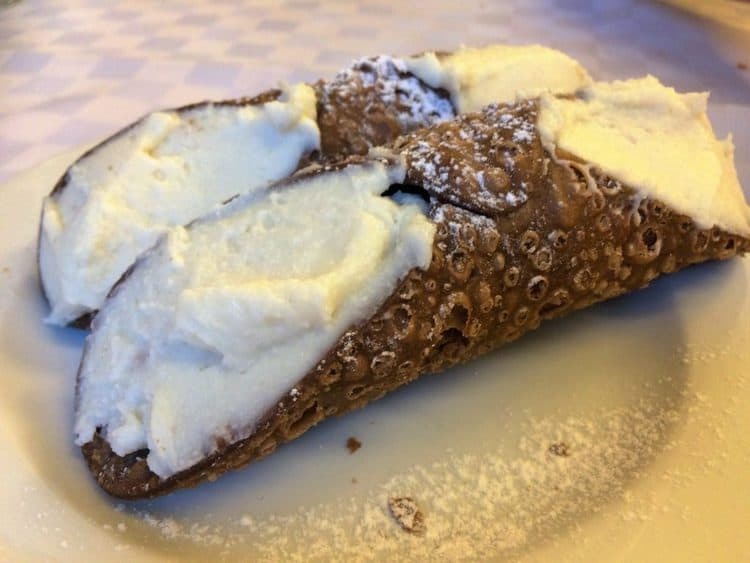 And then there’s one of my favorite desserts, cannoli filled with ricotta. I could not leave Sicily without having one. This was my choice of dessert eaten at our final dinner in Palermo before heading home. Aside from the brioche and granita, what I was most looking forward to, was arancini! 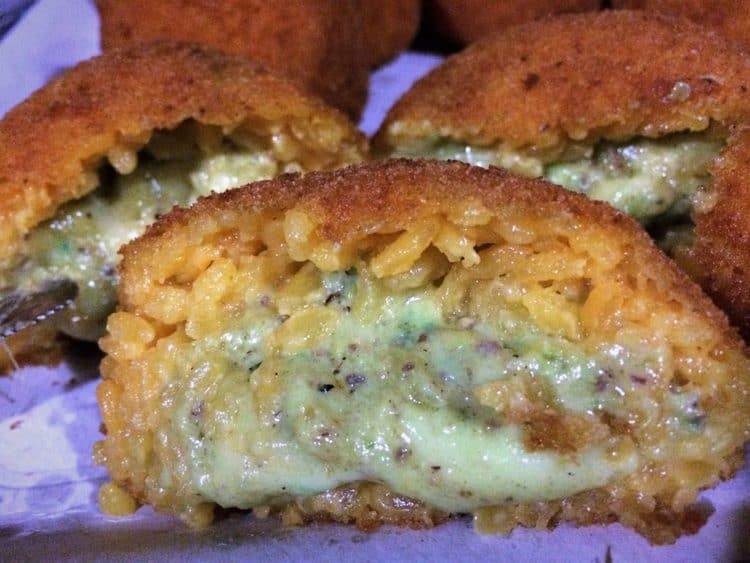 As I mentioned in my post about arancini, they are one of my favorite foods aside from gnocchi. I was in the motherland of arancini and I had anticipated trying different varieties. Sicilians insist that some of the best arancini in Sicily are served right on the ferry crossing from Calabria to Sicily. Imagine the huge disappointment as I got to the counter only to be told that they had run out! When we disembarked we were famished but still had an hour’s drive ahead of us before arriving at our final destination, so we made a pit stop at a rest area. I mentioned earlier that it is difficult to find a bad meal in Italy, but alas, the arancini we had at that roadside restaurant were disappointing! Two strikes! But finally, one evening my cousin decided to pick up some arancini from a tiny, local take out place that claims to make about two dozen different varieties. I went along to pick them up and took advantage of the moment to question the chef about some of his recipes. Thankfully he was quite obliging, after all I could not be much competition for him way over here in Canada! My favorite was this pistachio and cheese filled one. Not any pistachios, but local pistachios grown on the slopes of Mount Etna. I have never seen so much filling in an arancini! So, after three weeks of eating some of the most incredible food in the world, it was time to leave Italy. I left with a few of their local ingredients tucked into my suitcase as well as a huge list of recipes to try out. I left with a rejuvenated passion for cooking and most of all inspiration. Hopefully just enough to last until my next trip to Italy. Soon! your food looks unreal yum yum!!! Thank you! Of course, I didn't cook most of the food in this post but I definitely enjoyed it!